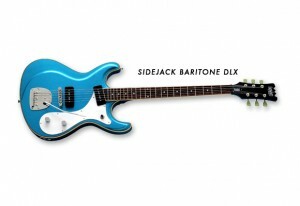 Eastwood Sidejack Baritones are Back in Stock! This has quickly become one of Eastwood’s top selling models. Why? Simply put, you need one of these in your recording arsenal. 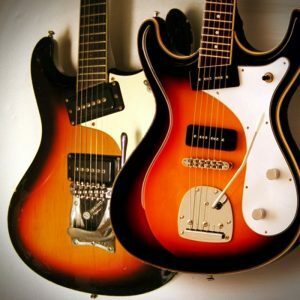 Eastwood Sidejack DLX on the Today Show! A couple of days ago I was ranting about taking my son on a trip to Europe. Good ‘ol Proud Father stuff. Twice in the same week? Yesterday morning on NBC’s TODAY Show R.E.M. did a live broadcast from the streets of New York City. They played their new hit single, Supernatural Superserious – and ripping into the opening guitar riff was long time R.E.M. sideman Scott McCaughey on his Eastwood Sidejack! Did I feel like a proud father? You bet!